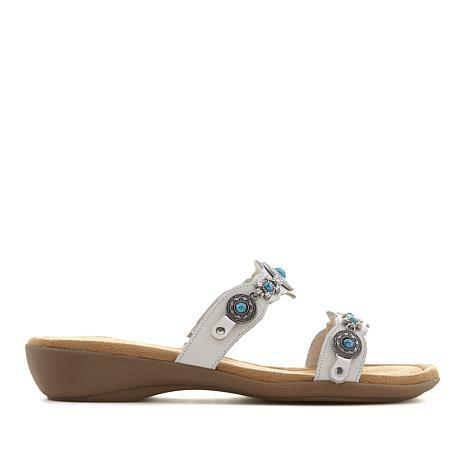 Look cowgirl chic in these western-inspired sandals. With 2 straps ornamented for show and padded footbeds designed for comfort, the Boca III brings spirit to your summer wardrobe. Adorable with everything from jeans and palazzo pants to maxi skirts and sundresses. Got these in White I love them ! Awesome sandals and awesome HSN service. 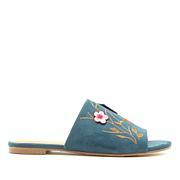 Will purchase Minnetonka items in the futures. Love them! I did order in a size instead of 8 1/2 and they fit perfect. Just received these, and I love them already. Really comfortable and love the style! These sandals are very cute and the fit is good. Just one issue is they do tend to slide off my foot a little. Wish they were just a little tighter to avoid sliding out of them. I will keep them as they are so cute! 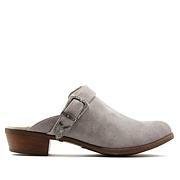 Shoes are cute and comfortable and stay on your feet. Nice!